2017 will bring a new set of rules for the transportation industry in the form of the Federal Food Safety Modernization Act. Ready or not, new food safety regulations are here. The Technology and Maintenance Council, a national organization that develops transportation maintenance recommended guidelines; reports that food shippers will determine cleanliness standards for refrigerated transportation equipment. CSTK is pleased to offer the Thermo King ColdCube: an ultra-portable refrigeration unit available in multiple configurations and sizes. The ColdCube is tailored to your business’s mobile refrigeration needs, serving catering, events, medical, floral, delivery and other industries in need of consistent portable refrigeration on-location or in their vehicle. 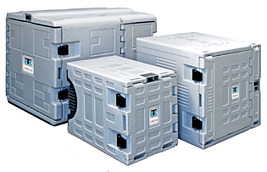 CSTK is now offering Thermo King Coldcube units for sale and as rentals in Kansas City, St. Louis, Philadelphia, and Oklahoma City. Thermo King & CSTK is proud to offer the T-80 series, a new line of self-powered truck units that deliver a low cost of ownership, improved fuel economy and unmatched reliability. These new straight truck refrigeration units offer emissions compliance, as well as lower maintenance costs and improved fuel efficiency. 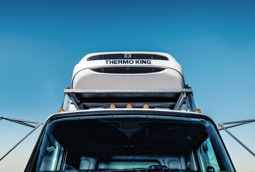 Building on the industry-leading T-Series, Thermo King took on the challenge of offering lower maintenance costs and better fuel efficiency, while maintaining their reputation of quality and reliability. The T-80 series encompasses all of these objectives in an EPA-compliant straight truck unit. CSTK is excited to introduce Thermo King's industry-changing new trailer refrigeration platform, the Precedent™ transport temperature control unit. CSTK St. Louis hosted the custom-made Thermo King Precedent™ Roadshow trailer touring the country this summer at several exclusive events at CSTK's locations in Kansas City, Oklahoma City, Philadelphia, and St. Louis. CSTK customers were able to learn more about the Precedent, as well as see other CSTK products in action at these informative events.